Robert Madgwick (1905–1979) was a champion of distance education. Even before his appointment in1954 as UNE's first vice chancellor, Madgwick's purpose was to make the intellectual resources of a university available to anyone with an enquiring mind. He was born in North Sydney. After training as a school teacher and working in regional NSW, he identified the 'power of education at work'. He went on to study economics and economic history from the University of Sydney and the University of Oxford. While working at the University of Sydney in the 1930s, he helped implement and deliver an adult education program throughout NSW. This experience led to his appointment as director of the Australian Army’s education program, set up to assist returned soldiers adapt to post-war Australia — and their own altered lives — as engaged citizens. Dr Robert Madgwick, UNE's first vice chancellor from 1954–1966. The New England University College (NEUC) was the Sydney University's rural outpost and operated from Booloominbah Homestead from 1938–1954. Madgwick was appointed NEUC's warden in 1946. As warden he expanded NEUC's curriculum to include rural science and agricultural economics — a morale booster for the rural and regional population of the New England Tablelands. When it became evident that Australia needed more teachers to cater for the growing population of children during the post-World War 2 baby boom — especially in regional Australia — Madgwick helped with a solution. He worked with the NSW Department of Education which also understood the vital need for an external degree program to train teachers, a program that Madgwick enthusiastically embraced. However, Sydney University rejected the external degree program. The NSW Department of Education helped Madgwick with the final push towards NEUC's independence from Sydney University, a protracted process that had started two years before his appointment as warden. With independence finally granted, and with the external degree program in tact, the University of New England was formed on 1 February 1954 — with Dr Robert Madgwick as Vice Chancellor. These experiences gave Madgwick a straightforward perspective on his job as an educator: “…to find out what people want, give it to them, and go on from there … and never take the easy way and start with what I think they need”. 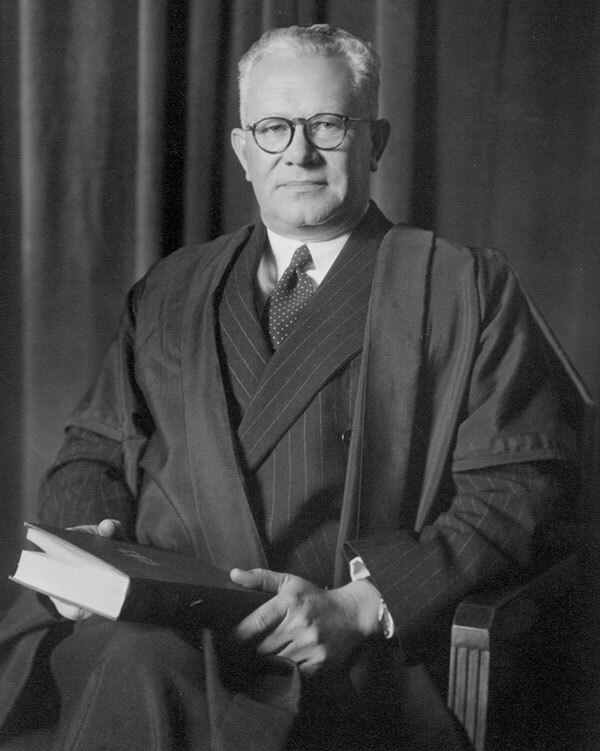 In his capacity as chairman of the Australian Vice-Chancellors' Committee (1964–1966), Madgwick successfully defeated the Australian Universities Commission’s decision to disallow the provision of distant education as a university function. He was a true champion of distance education. In recognition of his life-long contributions to education and community improvement, Sir Robert Madgwick received his knighthood on 1 January 1966. All his working life he had worked as a champion of education — for people living in regional and remote areas of Australia as well as those adapting to an ever-changing world. He retired from the UNE in December 1966. Madgwick went to work as a consultant for the Minister of Education, and a council member of the Australian National University amongst other official roles. In 1967 he was appointed chair of the Australian Broadcasting Commission (ABC). He was described as the most popular chairman in the ABC's history and received a second term as chairman in 1970. It was soon after his first appointment with the ABC that Robert Madgwick's first wife passed away. Sir Robert Madgwick died in Hornsby, NSW, on 25 March 1979. He was survived by his second wife, Eileen, and three daughters from his first marriage. Madgwick's legacy lives on at UNE: Enabling adaption to a changing world is part of our values and culture.